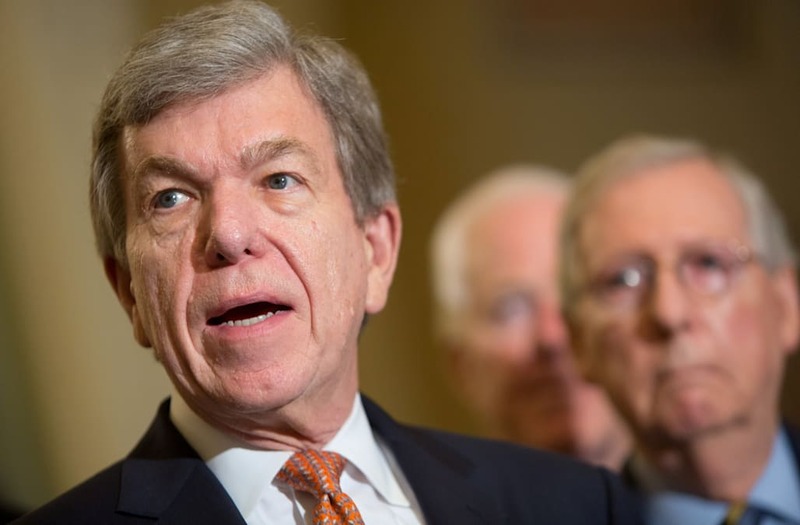 WASHINGTON — Sen. Roy Blunt, R-Mo., distanced himself from President Trump's repeated broadsides against the press Sunday, hours after Trump accused the media of causing "war." Included in that mix is the ongoing trial of the president's former campaign manager for financial crimes, his calls for the attorney general to "stop" the special counsel's probe of Russian election interference and the criticism that his administration is sending conflicting signals over its posture toward the threat to future elections. After supporters shouted down CNN's Jim Acosta during a Tuesday campaign rally in Tampa, Fla., Trump retweeted a video of the scene. One day after that rally, White House press secretary Sarah Huckabee Sanders refused to rebuke Trump's designation of the media as the "enemy of the American people" during a heated altercation with Acosta. "I've not been to one of these rallies, but I've watched them, and that seems to be something that a lot of Americans identify with," Blunt said. "I think all of us who try to communicate need to realize there's some real challenge out there." Blunt also disagreed with Trump's characterization of California Democratic Rep. Maxine Waters, who has emerged as one of the most vocal critics of Trump in Congress. Trump repeated his criticism of Waters during a Saturday rally in Ohio, labeling her a 'seriously low-IQ person." "There are a lot of things, for instance, you could say about Maxine Waters. But to indicate she's not a bright person is not one of them," Blunt said. "I embrace her as a person who has given a lot of time to public service and has a different viewpoint that I do." Trump has faced some criticism about his characterizations of black public figures, criticism most recently sparked by his weekend salvo aimed at basketball star LeBron James.